We highlight wise, thoughtful land use and the work of professional and volunteer planners at the annual CITIZEN PLANNER reception. This year’s honorees are exceptional Citizen Planners: Sarah Peck and David Ward. We’re joined by our EmCee Ken Knickerbocker with Arcadia Land Company Founder Joe Duckworth and former Chester County Planning Commission Director George Fasic. Party Venue: Chester Valley Golf Club, 430 Swedesford Rd, Malvern, PA 19355. Open Bar service and cocktail hour begin at 6:00 pm. Valet parking is provided. Program begins at 7:00; we expect to wrap up the fun around 8:30. Tickets are $88 online; $85 by mail. The Graduate Center has abundant free, safe parking. Course registration is $155 / $158 online. Registration includes Course materials and supper each class night. Continuing education credit applications are provided. 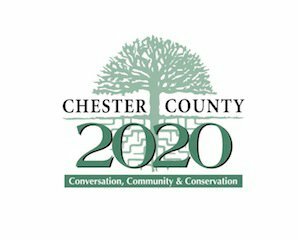 Call 484-680-5570 or use info@cc2020.org for more information.